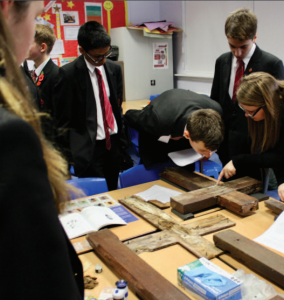 A special event took place last week at Pittville School to celebrate the completion of a project to conserve and restore over 20 wooden WW1 battlefield crosses. The crosses had been subject to the elements for a number of years on display at the entrance to Cheltenham Cemetery. They have now been restored and preserved for future generations. This project has been coordinated by the Cheltenham Civic Society and funded by the National Lottery Heritage Fund. 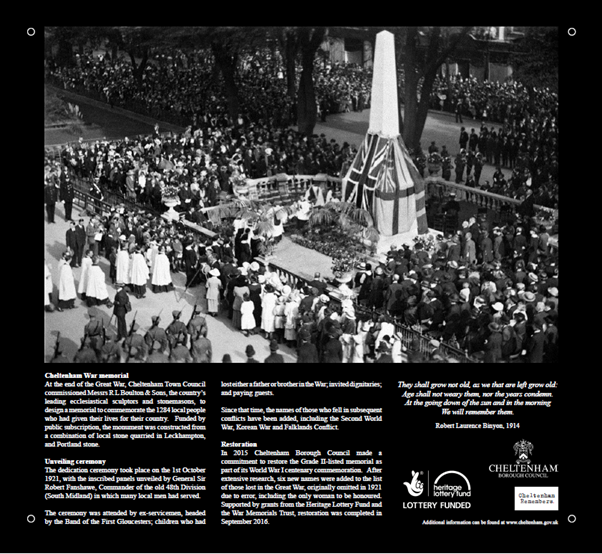 As part of Cheltenham Remembers and the project to repair and conserve the war memorial in the Promenade, a new interpretation panel was installed on a stone plinth as a lasting legacy. 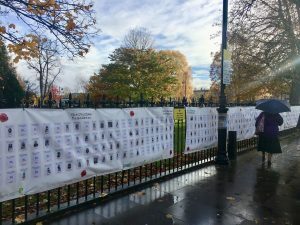 Thanks so much to everyone who took part in the Cheltenham Remembers memorial march on the 10th November. University of Gloucestershire TV Production put together a short film which really captures the spirit of the event. 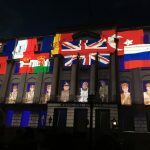 See how Cheltenham commemorated the WW1 Armistice Centenary on 10 and 11 November 2018 in this short film by Unit 1 Films. Thank you to everyone involved in all of the events, remembering those who lost their lives 100 years ago. 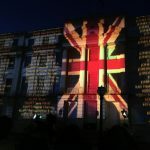 This short video by Evenlode Films shows some of the amazing scenes and crowd reactions to the spectacular projection of imagery and sound on to the Municipal Offices on the evening of the centenary of Armistice Day, Sunday 11 November 2018. Cheltenham Remembers Project Co-Ordinator Rebecca Sillence was introduced to a very special visitor at Cheltenham Racecourse this weekend. 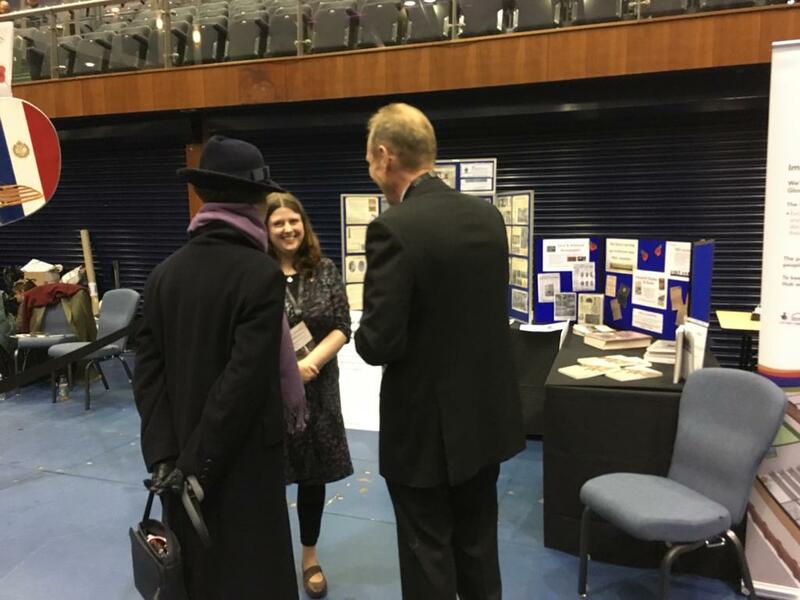 HRH Princess Anne paid a visit to the Gloucestershire and Racing Remember event at Cheltenham Racecourse, where she spoke with exhibitors and local historians about their projects to commemorate WW1. To mark the centenary of the Armistice, Cheltenham Racecourse held a tribute to both horse and solider on Sunday 18th November, the final day of The November Meeting. 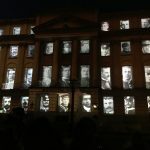 A poignant and moving tribute was paid to every individual named on Cheltenham War Memorial at the end of our special WW1 projection on November 11th. Original composition by Tim Mountain featuring the Cheltenham Ladies’ College choir. 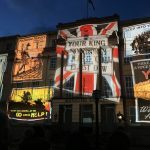 Thank you to everyone who came to see our projection of WW1 imagery and sound at the Municipal Offices. 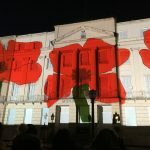 It was truly breathtaking to see the building illuminated and come to life with such powerful animations. Alongside the creations of Tim Mountain of Evenlode Films the projection also featured the work of local university students, original compositions, poetry and spoken word performances. 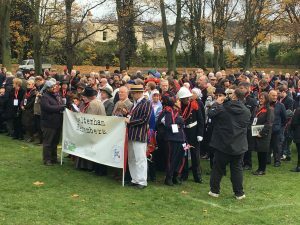 Thank you everyone who took part in and supported our Cheltenham Remembers Memorial March yesterday. 1,278 Cheltonian service men and women’s names carried with pride. 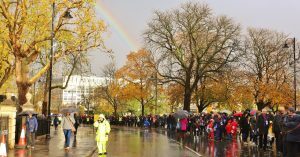 Despite the heavy rain, we were gifted with a beautiful rainbow and the day really embodied the spirit of community and remembrance.